Naturally, it’s rare that a visitor will come to Hawaii with the sole purpose of visiting the Honolulu Zoo in Hawaii (after all, the islands have too much to offer). But, visitors staying in one of the many Oahu hotels located in Waikiki will often wander over to our charming zoo, especially if the keiki (children) are in tow. They’re in for a wonderful surprise — the Honolulu Zoo in Hawaii may not look like much from the outside looking in, but once inside, the venue is a veritable treasure-trove of interesting exhibits, fun interactive opportunities, and expansive botanical wonders. 1. The Wildest Show in Town: The Wildest Show in Town is a summer family concert series that features the “best of the best” local artists. In addition to live entertainment, guests can also purchase special picnic fare as well as enjoy fun pre-concert family activities such as weekly animal-themed keiki coloring contests, and other family-centric events. For visitors, this is your chance to experience “life as a local” as you relax on a great lawn in the middle of Waikiki. 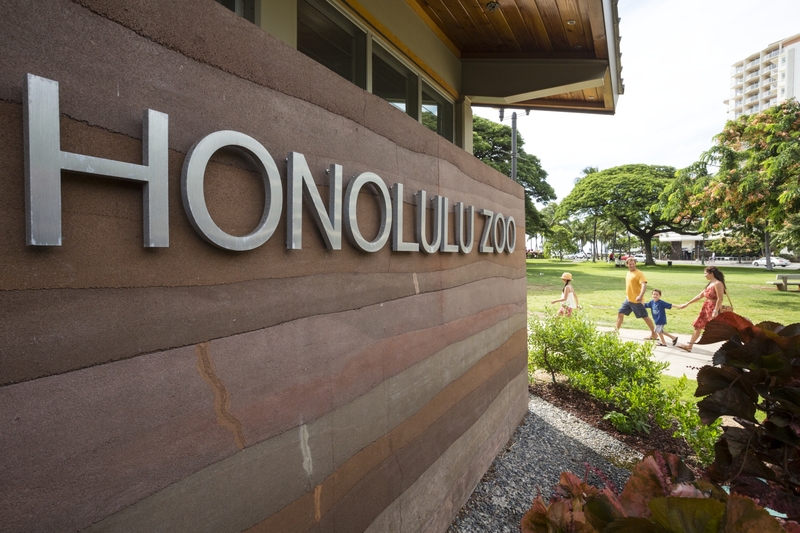 Over the last several years the Honolulu Zoo has made significant upgrades to improve the quality of life for animals and experience for its visitors. 2. Twilight Tours: Friday and Saturday evenings from 5:30-7:30, visitors can experience what life is like after all the crowds have left. Just as everyone else leaves the Zoo, you will be guided by educators on a two hour walking tour to learn about and visit with the Zoo’s most intriguing animals. Watch some of the animals prepare to sleep, while others are just waking up. Learn about the animals’ biology and behavior, and the role that the Zoo plays in conservation of our endangered species. 3. Keiki Camps: If you happen to visit Hawaii during a school break or summer, consider signing your child(ren) up for one of the Honolulu Zoo’s many camps. Choose from Camp Wildlife Koas (children 9-11), Camp Imi Loa (children ages 6-8), or Camp Menehune (children ages 4-5). Although each camp has a different focus and theme, all camps include days of fun and exploration for children. You don’t have to be a member OR a local to sign up! 4. Interactive Web Lessons: Even if you’re not a local teacher or parent, you still have access to a whole host of web-based interactive learning modules. Web Lessons make it easy to explore the exciting world of animals, basic biology, conservation, and other topics by touring some of the best sites on the Web. These unique online lessons are excellent for classrooms or home school, in Hawaii or anywhere. Web Lessons helps instructors plan a web curriculum that supplements, supports and enhances a trip to the Zoo. Each lesson includes a comprehensive Instructor’s Guide with additional web resources and ideas for extension activities, study questions, and vocabulary. Web Lessons work well for individual and whole-class learning. Visitors find the animals easy to see at the Honolulu Zoo and the variety of events very family friendly. 5. 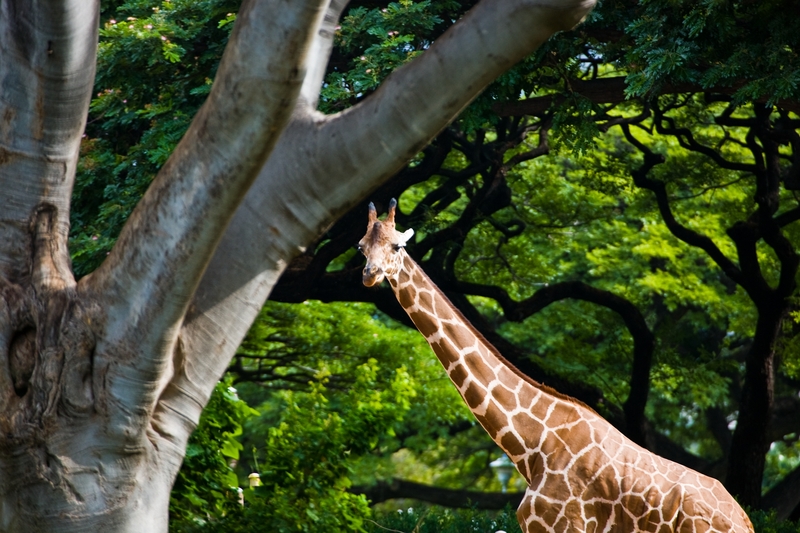 Your Own Event: What’s more fun that hosting an event at the Honolulu Zoo while on vacation? Maybe you’re here with extended family, or maybe you’ve even planned to surprise your loved ones with a get-together. If you’re coming to Hawaii and need a venue for an event, the Honolulu Zoo can http://www.honoluluzoo.orghelp. As a full service caterer, the zoo not only provides a wide range of menu options, but also complete theme development, including décor, rentals and entertainment coordination.